This former farming community still feels like a quintessential New England village, filled with horse barns, gardens, and towering trees. Cheshire's proximity to New Haven, Hartford, and Bridgeport gives residents plenty of options when it comes to jobs, though locals say the traffic can make even short commutes painful. Developers recently announced plans to build an open-air outlet mall on the edge of town, a project that should create jobs and drum up additional tax revenue. --K.F. 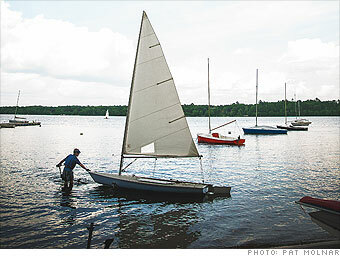 Connecticut's personal exemption incorporates a standard deduction. An additional tax credit is allowed ranging from 75% to 0% based on state adjusted gross income. Exemption amounts are phased out for higher income taxpayers until they are eliminated for households earning over $71,000. 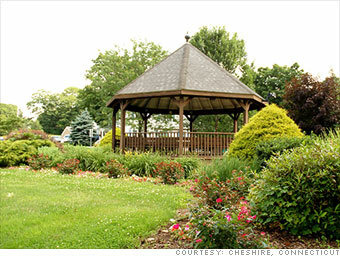 Is Cheshire a great town, or what?